Sea lions are 7 species of large marine mammals in the pinniped (seal) family. The sea lions ancient ancestors were land animals somewhat similar to bears. 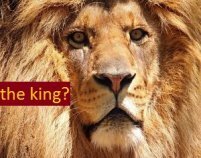 For reasons unknown these creatures returned to the ocean about 20 million years ago, where they have since become the most successful and widely distributed family of carnivores in the world. The sea lions entire body is structured for life in the water, with a smooth, torpedo shaped torso and flattened, powerful flippers, like four large swim fins instead of feet. In fact, the swim-fins scuba divers and backyard snorkelers use were modeled after a sea lions unique, compressed and web-toed hind feet. 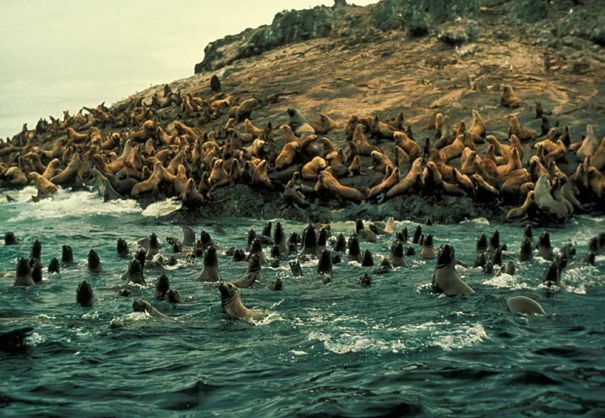 Sea lions live in very large social groups called colonies that may come together to sunbathe in masses of hundreds, and take to the beach to mate and raise young in tightly packed gatherings of thousands. On land they are relatively cumbersome, but, unlike the "true seals", the sea lions can lift their bodies up off the sand and walk on all fours, and even run if necessary. This ability finds sea lions and fur seals commonly referred to as the "walking seals", while their external ears are why they are also referred to as the "eared seals." 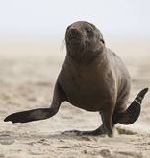 The "true seals", such as elephant seals and harp seals, do not have external ear structures and are not capable of walking, but rather must roll or wriggle from place to place when on land. In the water, sea lions shine with balletic grace, spending the majority of their time hunting in reefs and ocean waters where they can dive as deep as 900 feet and remain submerged for over half an hour. Sea lions are true carnivores and individuals may eat as much as 50 pounds of fish and squid in a day. They are solitary hunters and rarely if ever take large game such as penguins or seals, concentrating mostly on small squid and school fish such as herring and anchovy, which they can swallow whole, without any chewing at all. Sea lions stalk schools of fish which they rush through with jaws agape spearing their quarry with impressively sharp teeth. They also forage through reefs using their long, stiff whiskers, known as vibrissae, to flush out assorted invertebrates, crabs, and their favorite food, squid. Sea lions are highly social, and happy to live in very close company. 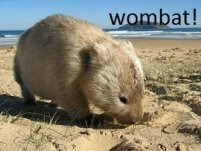 They will notoriously pack together on beaches, rocks, boardwalks and boats, smushed against one another in huge, languorous piles. Sea lions have thick fur and even thicker layers of blubber to keep them warm in their preferred cold climates, but they exist in all the oceans of the world except for the Atlantic ocean. Species of sea lions and fur seals can be found on the Bering strait, Australia and New Zealand, South America and California. Like many marine mammals, sea lions are remarkably intelligent with excellent senses of sight, hearing and smell. 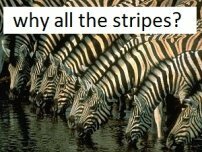 In captivity, and when interacting with humans, they are extremely quick to learn, and have been exhibited in shows and circuses for centuries. 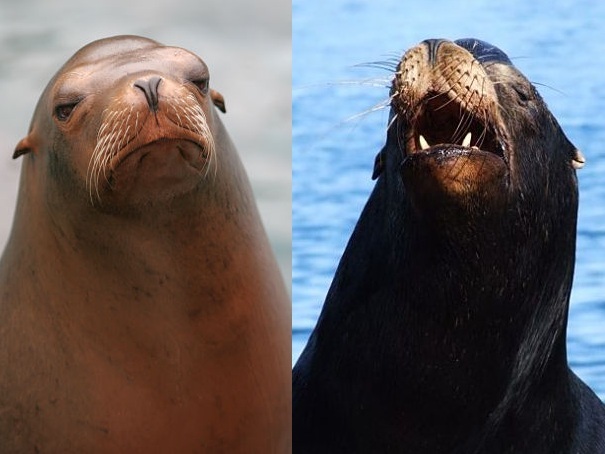 Sea lions display extreme sexual dimorphism, (marked differences in appearance or size between males and females of the same species), with adult males being at least two times, and as much as four times larger than adult females. 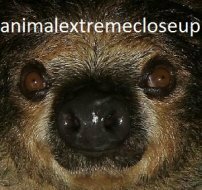 In addition to just overall size, mature males over 10 years old are recognized by their impressive, crested foreheads and massive necks. A bony ridge down the centerline of the skull known as a sagittal crest begins to develop at about 9 years of age and, over time, gives the males head a distinct, and impressive look. 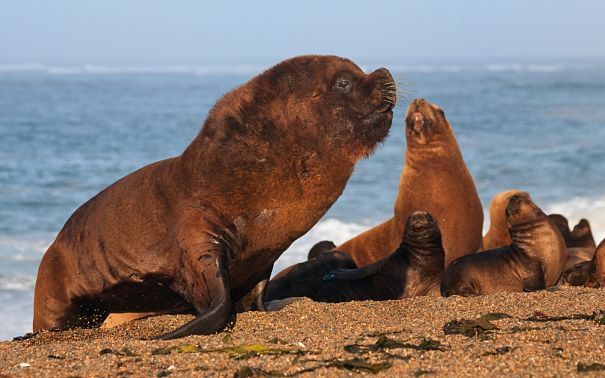 Male sea lions gather at specific breeding grounds early in the mating season, and actively attempt to establish their own territories before females arrive. The breeding ground is known as a "rookery" and is usually on a quiet island with sandy beaches. Much of a males dominance is related to size, with smaller animals almost always giving way to larger ones. 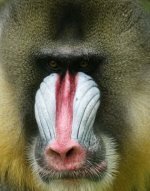 Males will develop a territory of only a few dozen feet in any direction and when another male attempts to enter, lots of bluffing, barking, roaring, hissing and growling occurs. Actual fighting occurs as well, and injuries can be serious or fatal, but most disagreements are settled by ritualized, sumo-style shoving matches, and games of chicken involving extraordinarily loud full-speed charges at each other. Once an area is established, the male will patrol his patch of beach and also a few yards of ocean in front of it, barking nearly constantly as he goes. 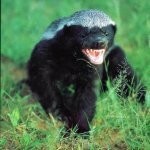 When all of the beach is claimed, younger, weaker or smaller males unable to gain a territory, form bachelor groups on the outskirts of the beach, and may continue to be chased about from one mating ground to another by the established males. When the females arrive weeks later, the males try to attract them to their territory and gather a harem of as many as 15 females. Males with prime, beach-front properties attract the most mates. This is a vitally important time in the life of a mature male sea lion, and he actually may not eat for the entire length of the mating season - up to 30 days- while he struggles to maintain control of his territory and the females who have chosen to reside there. 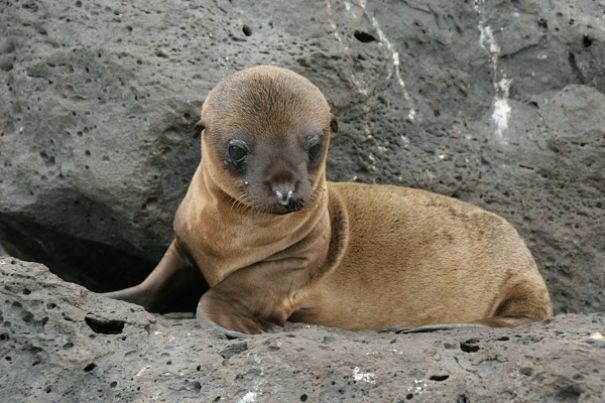 The female sea lion usually arrives already pregnant from the season prior, and the single pup that she delivers is probably not the offspring of the male whose territory she resides in this season, unless she happened to have hooked up with the same male the prior year. Females will give birth within a few days of arriving at the rookery, and will be ready to mate 10 to 14 days later. The fertilized embryo develops in the womb for only a few weeks and then becomes dormant. It will not begin to grow again for another 4 months or so, when it will become implanted in the wall of the uterus and start to fully develop. 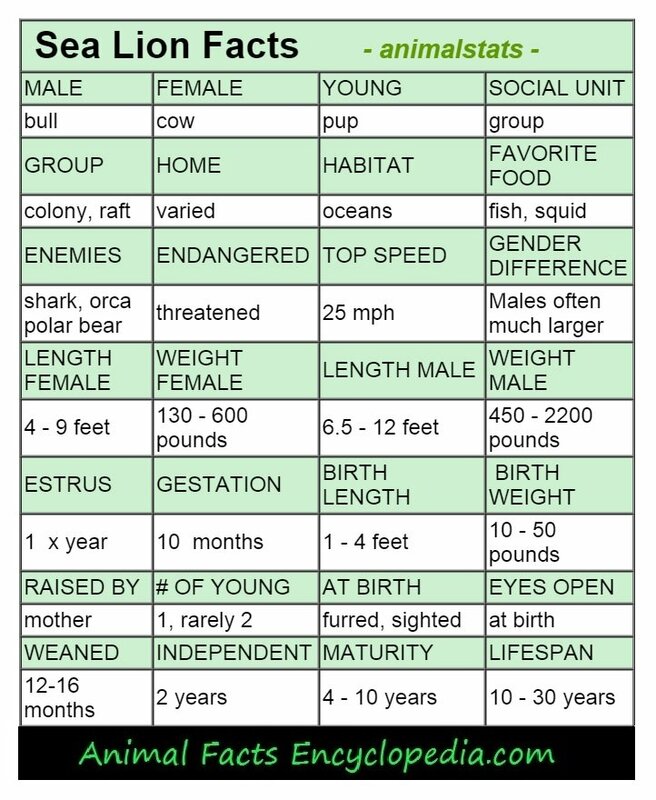 The entire pregnancy lasts between 8 and 12 months depending on species. This process is known as embryonic diapause and is fairly common in many large mammals. The pup is quite large when born, weighing up to 55 pounds, sighted and fully furred. The mother remains on the beach with her new pup for the first 5 to 15 days, and fasts this entire time. When she finally goes back to the sea to hunt and feed, she leaves the pup in a little playgroup of several other pups who will play and sleep together while they wait for their mothers to return. 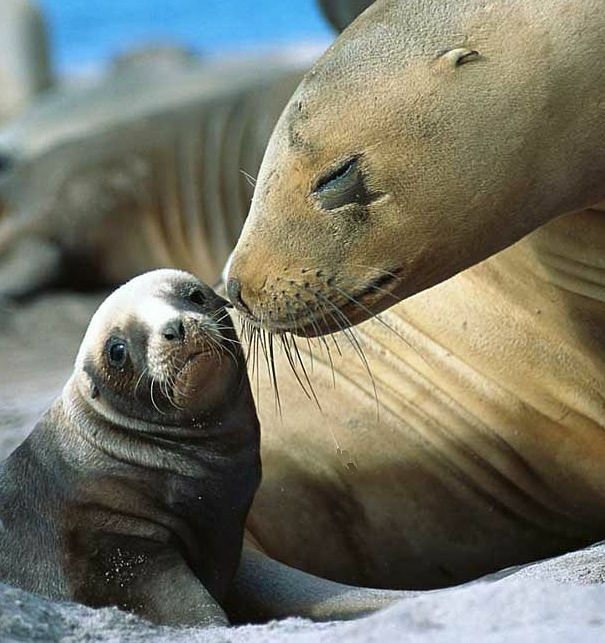 A mother sea lion may be gone for days at a time, but when she returns, she will be able to find her own pup, in a sea of sea lions, by calling for it with her own distinct vocalization. 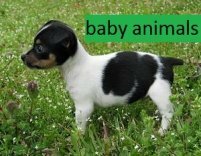 The pup has a distinct yelp of its own, and when it hears its mother nearby, begins to call to her desperately. Mother and pup may stay together for up to two years before the youngster heads out on its own. 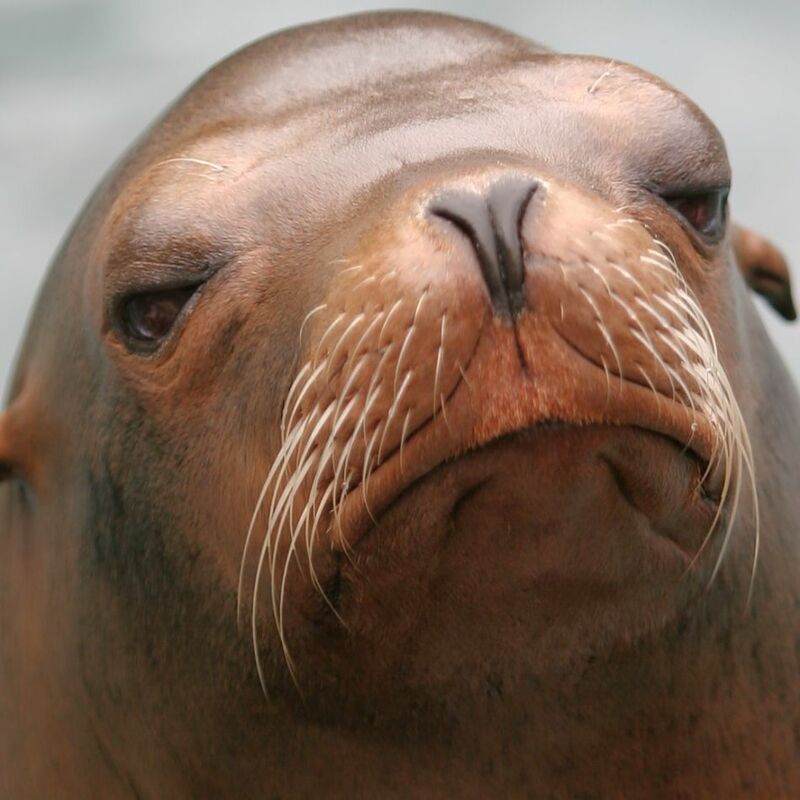 why is it called a "sea lion"? Many of the sea lion species we commonly see, actually don't bear a very strong resemblance to lions, so where does the name come from? All sea lion species are carnivores with large canine teeth, or "fangs", and a muzzle full of stiff whiskers, and may also make loud roaring noises which are all lionesque features, but the most shockingly lion-like species is the incredible South American sea lion. Males of this species can reach 9 feet in length, weigh over 800 pounds and have huge, broad heads and necks that can be thicker than their torsos in circumference. 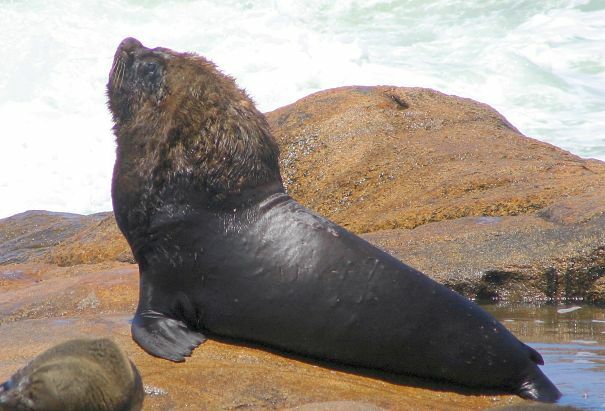 The neck and head structure are dazzlingly leonine, but the South American sea lion also has ruff of long hair that makes everything very clear. The "mane" is most obvious when the fur is dry, and leaves no doubt that the name "sea lion" is deserving. The largest species of sea lion, the Stellar sea lion, also has a noticable mane, and males of this species can reach 2200 pounds and 12 feet in length. The California sea lion, notorious for staking its claim along the entire West coast of North America from Alaska to Mexico, is probably the most well-known of the sea lion species, and is the most likely to appear performing in circuses and water parks. Male California sea lions do have a full, round neck and develop a bony sagittal crest atop the skull cap as they mature that makes for a cool silhouette, but without the mane it doesn't really read "lion", and females of all the species never develop the truly lion-like physical features that ultimately must have inspired the name. After all, just look at these guys!. what is the difference between sea lions and seals? 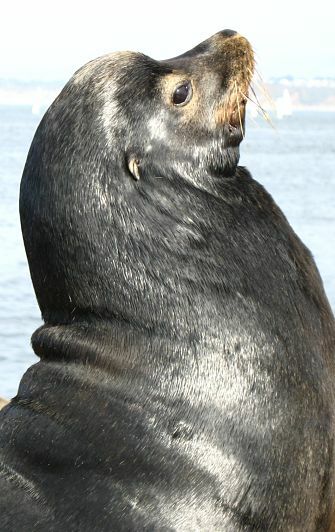 There are 7 species of sea lions, and 9 species of fur seals that make up the "eared seals". Eared seals differ from true seals in that they have external ears, larger, more powerful forelimbs, and can rotate their hind limbs forward and beneath them. 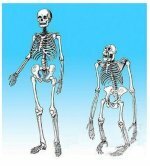 These differences in skeletal structure allow the sea lion and fur seal to not only sit in a semi-upright position, (that classic pose) but also to walk and even run on all-fours. The rear limbs of true seals are fused together and are permanently facing rearward, making walking impossible. 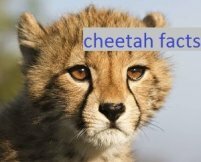 All pinnipeds, even walruses, are considered seals in the broad sense that leopards are considered cats, so it is not incorrect to call a sea lion a seal, just less precise . Eared seals spend a great deal of time on land, breeding and sunning on the shores. With long, powerful front flippers, their natural position is upright with the chest raised off the ground. 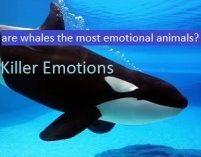 Their rear legs are two separate, front-facing flippers that can be rotated under the body and they can rise up and move around with a two beat gate. Also often referred to as the "walking seals", the eared seals can actually move, even run, quite rapidly when necessary. Although sea lions do not make a wide range of sounds, they are very noisy, and easily one of the most vocal mammals on Earth. 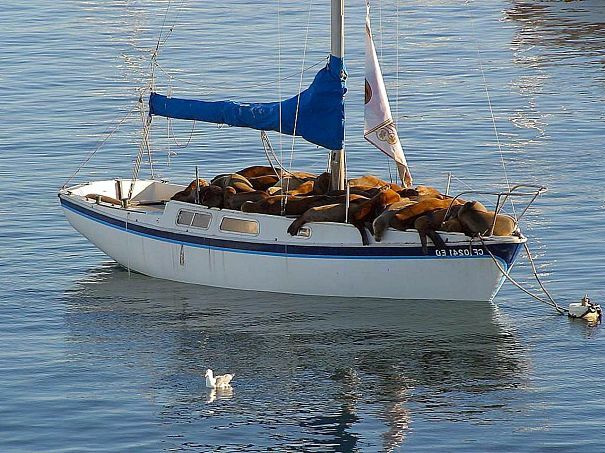 Anyone who has observed large groups of sea lions sunning themselves on beaches or piers, knows that not only is there a continual racket while the animals move about to find good resting spots, but even while they are apparently fast asleep. 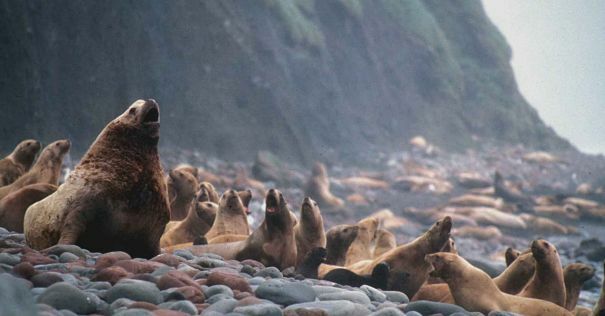 Grunts, groans and snores abound in a colony of sea lions. 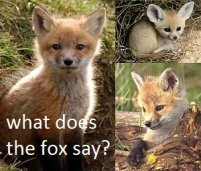 Groans and squeals may occur with the mouth closed, often accompanied by billowing cheeks, but classic barks and roars are delivered with jaws agape, and the noise is nearly constant. Arguments erupt over possession of prime basking areas, yet they all seem to end up on top of each other. Sea lions appear to have an innate need to be in close contact with each other, and to literally be surrounded by their peers. The social structure is loose and very uncomplicated except during breeding season. All other times a warm body and a friendly "ark, ark, ark" means this is home. 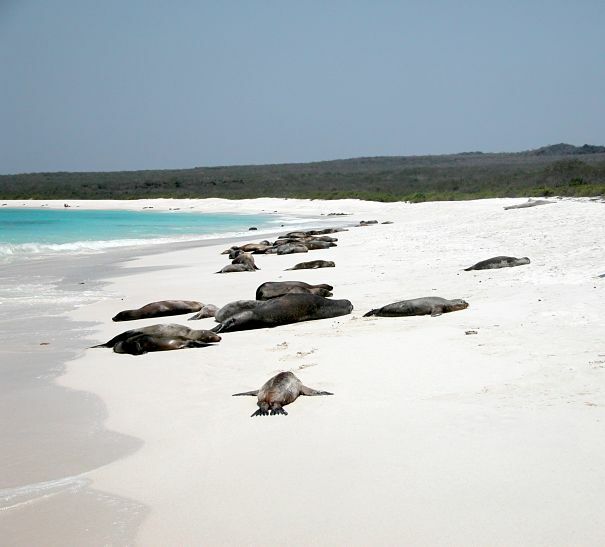 Some sea lion colonies are permanent residence throughout their range, while other species are partially migratory. The California sea lion may or may not migrate. 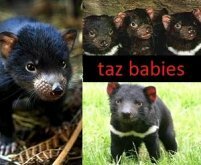 Many females live on barrier islands year round, raising their pups in large daycare groups with multiple mothers keeping an eye out for danger. Most males migrate back to the mainland where they have been known to takeover private boats, beaches and even the famous pier 39 in San Francisco. Legend has it that California sea lions began to appear in extremely large numbers after an earthquake struck California in 1989. On one pier in particular - pier 39- the numbers were uncontrollable. 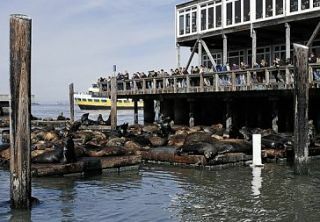 These sea lions showed little concern for humans desires to utilize the docks, would show aggression when people attempted to move them, and transformed a peaceful dock into a noisy, odorous free for all. Folks who had docked their boats in the area for decades simple moved out, and the wildlife took over. Now an amazing tourist attraction, the sea lions lounge while onlookers take pictures. Crowding is a sea lion thing, and they would prefer to sleep three bodies deep than move to an unoccupied platform. A group of sea lions is called a colony on land, and a raft when in the water. The male stellar sea lion can grow to the size of a compact car weighing over 2000 pounds and measuring over 10 feet long. Male sea lions may fast for up to 40 days during mating season. The sea lion is known as the "angel of the sea" because their front flippers look like angels wings while they are swimming and sometimes when they are sleeping. 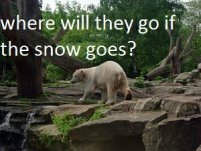 The trained seals seen in water parks and circuses are usually California sea lions.